Happy New Year! I just wanted to give you a quick up date on how things were going with my oldest, and his post frenectomy therapy. He has made a lot of progress, but I know once we get in there to do expanding, things are going to help even more. Just to give you an idea of what we’re working on, and why it’s so important for his stress, I’m sharing some super informative videos. If you have auto immune disease, adrenal failure, TMJ, jaw pain, grind your teeth, troubles sleeping… just watch it, it’s pretty amazing. * Are you a mouth breather? * Do you often wake up in the morning with a dry mouth? * How is your posture? * If you had braces – how did your adjustment take? * Did you have molars removed before adding braces? *Have you had any chronic headaches or jaw pain? * Do you get motion sickness or have you had a baby chronically cry in their car seat? Myofunctional disorders can trigger a lot of issues. Multiple things may have contributed to them, including taking folic acid while pregnant, (vs. methylated folate), as well as genetics and a grain filled diet. All of this inflammation does contribute to gut health and your immune system. It’s pretty crazy… but true. Now here is why it’s so important. Do you see what the red arrow is pointing to? That’s the stress in his neck on a muscle – from straining. It’s because the muscle (his tongue) is so weak… and the front part of his neck to support his airway. This is why he sleeps with his mouth open. 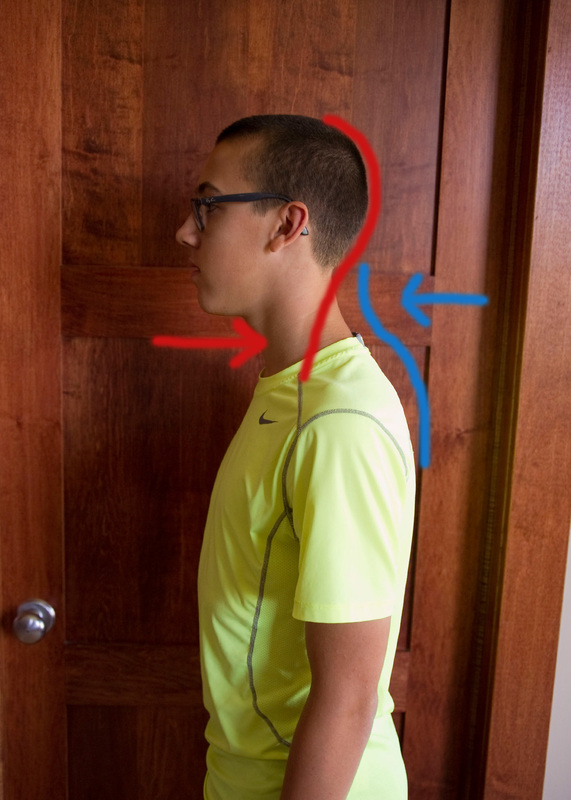 If you look at the blue line and arrow – it shows how he holds his head forward to open that airway also, causing a slumped posture. Now check out his cheesy smile picture (this is part of the file we needed, so no, he doesn’t normally smile this way). As you can tell, you can see WAY too much of his gums – because his palette is way too small, his tongue also doesn’t fit into his mouth. This was before his procedure, but you can tell how tight his top lip was tied. He couldn’t even shut his mouth! 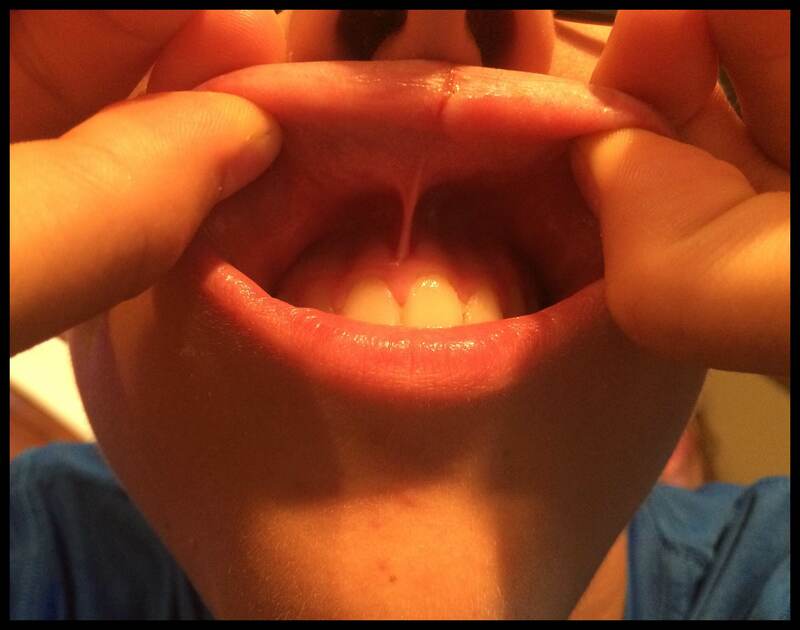 These teeth – look like this after 3 sets of braces, and 2 permanent retainers in, and him wearing his retainer about 85% of the day, and every night. Disappointing, yes? Well, I’m hoping once we get the appliance in his mouth and start moving forward later this month, I will have some awesome pictures to share with you on his progress. I can tell he’s made a lot of headway, but I know this hasn’t been a lot of fun for him. I’m grateful our functional dentist/orthodontist is working with our youngest of kids so they never get to this point. It’s been a bit to swallow all of this – financially and emotionally. Something that could have been addressed when he was a week old, vs. all of the trauma we went through with feeding him, and the specialists we saw, etc. As a good friend mentioned to me – it has honestly been a post-traumatic stress syndrome for me. I felt it each time I had another baby and we attempted to establish feeding… and I literally felt it now. All of those emotions came RUSHING back, along with a lot of anger to the hurt people caused. I wanted to scream at the doctors, and the nurses, and all of the people who were so discouraging to me when my son was an infant. All of the pain I had stuffed inside just came out the night before his procedure, and the day off. (I should have had you pray for my husband! He is such a gift to me!) It was as if I wished they could apologize, or I could get another chance… but I know that is impossible – and nothing would give me back what I have lost, or what he has suffered. 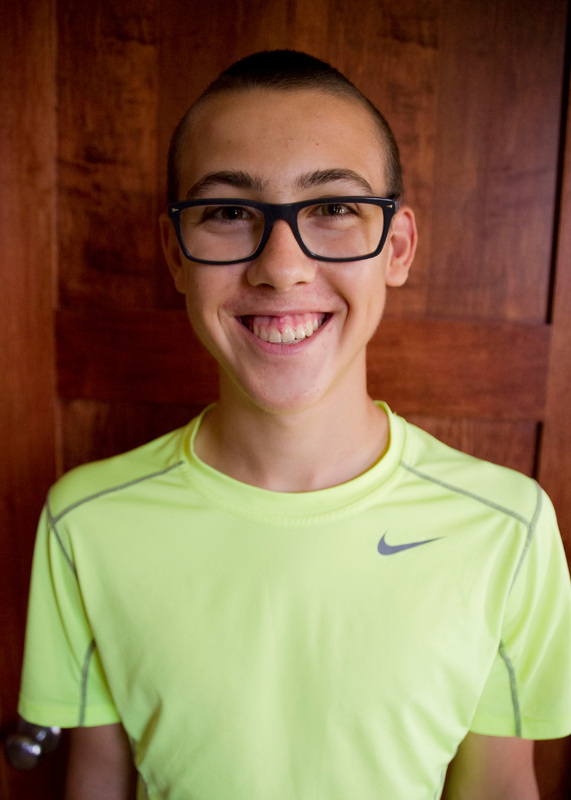 Financially – we’re paying for 3 sets of braces for this kid – now sinus surgery, and getting his lip, tongue and buckle ties released… all of these sessions with the chiropractor at $50 a week. It all adds up, it’s out of pocket and most of it without insurance coverage. Thankfully – we are able to make it a priority, and afford it… but other things have had to take a back burner. I have several kids with multiple issues we’re trying to address – and then there is me. It’s been a little difficult to juggle all of this – but God keeps me strong, and positive. He definitely gave me my husband for a reason. It frustrates me that western medicine and conventional dentists/orthodontists don’t look at the function of people to help heal them. I’m so grateful to God for this journey though. I can’t say that enough. I remember praying and telling God that I would share this with the world – anything I learned – because I knew it was Him who continued to save me during the process of realizing how sick I was. I don’t usually talk about my struggles anymore, to just anyone – unless I know someone else has similar things that can empathize. Most people who haven’t experienced that utter shut down of their body, simply can’t (and often don’t want to) understand. They have a body that regulates temperature, and blood pressure, and digestion. I do not. They eat more than 5 foods and don’t have to consider so many food issues for their family. What I do have, is… I have a heart for people now – and I recognize that I used to push away what I couldn’t empathize with before. So many people have struggles we can’t see, and I didn’t think that way before. Thank you God for not pushing me away and helping me to wake up and see the Truth. It’s the second day of the new year… and more importantly, it’s a new day! Praise God for that gift. 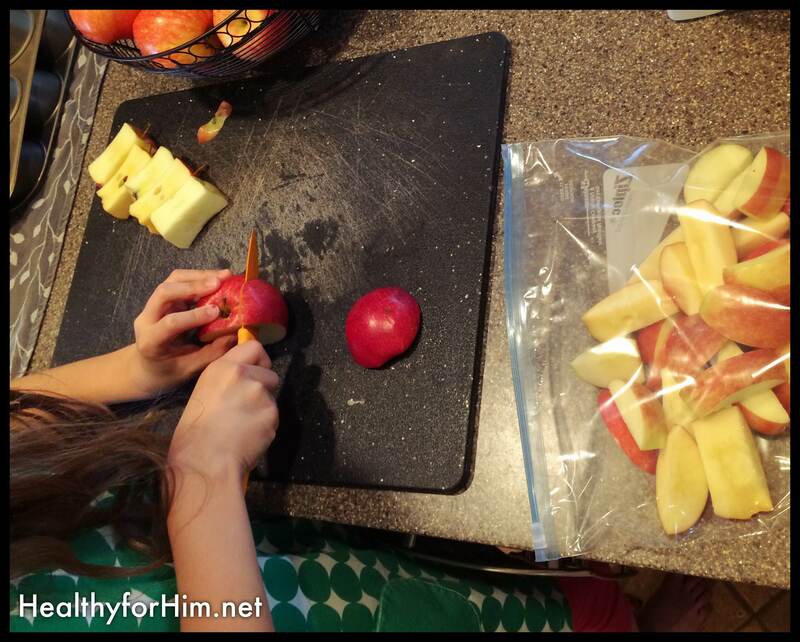 What are you going to do to be Healthy for Him this year? Check out this video on why jaw pain shouldn’t be ignored. This video explains myfunctional disorders as well. 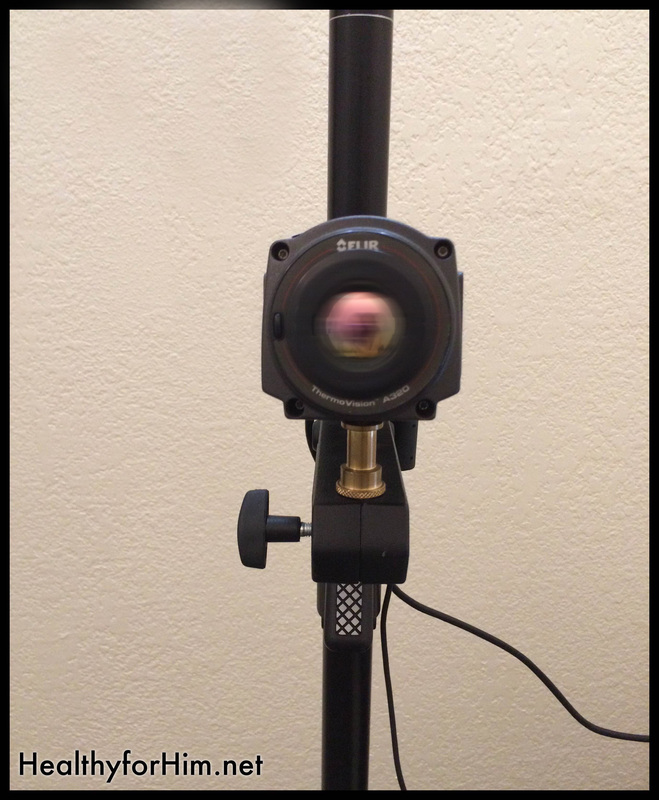 This is a thermography camera. Not scary at all. Nothing touches you – nothing hurts you, or causes cancer, like mammography. I’ve made great strides since we last met. God has been working on my heart, and mind and helping to show me new ways He created to heal myself. First, myofunctional therapy. It works. I’ve learned to keep my mouth closed at night – through the various exercises I’m doing with my children. At first, I thought it was a fluke… but a week later, I knew it was for real. I was a believer. My son has his appointment next month to get his tongue and lip untied as well, and after the first of the year – we’ll be looking at being expanded and braces… together. I think our orthodontist finally gets that this isn’t about looks – as much as it is oxygenating our bodies, and restoring our health – for now and the future. 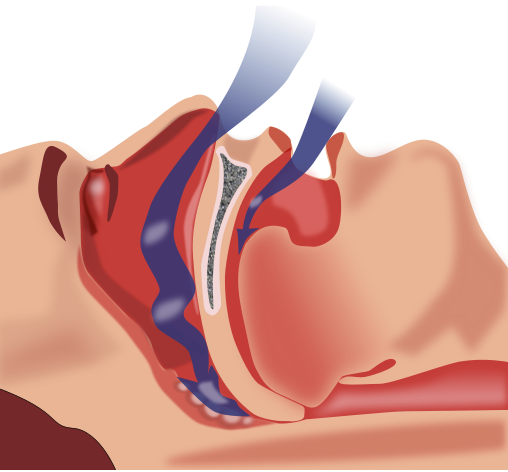 Check out how much MORE air is moved through your nasal cavity at night, while your mouth is closed. God has a purpose in warming and filtering that air also. Secondly, I talked to my ND about LND (Low dose Naltrexone – compounded), and Alpha Lipoic Acid. They work together to help keep the stress I can’t control from taking over my health. This couldn’t have happened at a better time. I had been considering it for a long while – as the results with helping those with MS were pretty significant. Within the first week, I noticed the back spasms I’ve had for years – were gone. I’m about 3 weeks into it now – and they are still gone. Praise be to God. I’m on a low dose now – and I’m thankful that is working. It’s a good sign – because as we all know, we simply can’t control all of the junk going on around us, and that really tanks my adrenals and my immune system. Thirdly, after watching most of the Truth About Cancer series, I started taking Fulvic acid. There is plenty of info out there, but here is a small bit of the benefits. The doctor who shared about it said in all of this 8000 patients, he had never had a negative reaction to it. That gave me a bit of hope – as I seem to react to everything. So far, so good! The doctor said he didn’t want it sound like a ‘Magic Bullet” or too good to be true – but I’ll admit – I’ve noticed a boost in energy, and my kids have seemed more level on it. Not only does it gives your body essential vitamins, minerals and amino acids, it binds to toxins, and works as a chelator to metals and other things you don’t want inside of you. The other cool thing is, it could have only been created in nature by something “like the flood”. 🙂 God knew we were going to mess things up, and He allows us a way to restore! Praise be to Him. Lastly, I had my thermography appointment in the midst of “breast cancer” awareness month. I’ve noticed some changes in my left breast, and because I’ve had fibroids in the past – I just thought it would be smart to check up on things, for my future health. The test was relatively simple, with the most difficult part being sticking my hands in ice cold water as a “challenge” to see if the spots in question still show up as being “fed”. I was to get my results within a few weeks, and if everything was normal, I wouldn’t need to speak to the doctor. I set my “phone appointment” – with the intent to cancel if all was well. The weeks came and went… and I didn’t hear from my doctor. I knew something had to have been in question – and deep down, I think I knew something was there all along. Last week my ND confirmed my thoughts… My fibroid showed up on the right side, and on the left side, near my other fibroid, there is an area in question, being fed vascularly. I always struggled with mastitis due to dense breast tissue, scar tissue and being lumpy. Before my test, I thought maybe I was dealing with non-lactating mastitis… that maybe some underlying infection in my breast was causing issues. As I talked through things with my ND I became acutely aware of how I got to where I was. My lack of regular cycle stemmed from not absorbing the right nutrients in my early teens and loading my liver with estrogen from the fake hormone therapy (BCP) at high levels. The BCP never solved things with my irregular cycles and contributed to the massive, fast growing tumors I had from ages 15 to when I went off at age 23 when married. Having those 3 breast surgeries, to remove fibroids, led to scar tissue and combined with the lumps and poor diet, led to chronic mastitis. That chronic inflammation and antibiotic cycle continued to break down my gut, thyroid and immune system. Thyroid dysfunction is essential for cancer to grow. The wheels were turning, but I still wasn’t getting it. So… I set my appointment for a sonogram this week to see exactly what we’re looking at… and we’ll go from there. My chiropractor suggested another saliva hormone (cortisol test) to see where my estrogen levels are. If they’re still sky-high – perhaps an estrogen inhibitor for a time while I’m detoxing – could help me get over the hump. Clearly my body hasn’t done it on its own yet. I appreciate health-care providers who help weigh your options, and really do “get” natural healing. I am not scared, I am thankful for the gift of this information, and the opportunity to help my body be well. I’ve increased my juice in-take, been working on resolving negative emotions from relationships that destroy, and purposefully avoiding those who are toxic to my health. (Yes that’s number one when disease appears – negative emotions and stress destroy your immune system). Not only that? But a thermography shows more than a mammogram would have … maybe for years. So I must assume I’m ahead of where I might be otherwise. If you missed the Auto Immune Summit, or the Truth About Cancer series – please take the time to check them out. SO much great information out there for us to help ourselves. God is good. I think we’ve worn a path to our doctors offices almost 3 hours away from our home, but I’m delighted to report, I believe we’re making some progress. On my own health front, I have been struggling a bit with some type of hormonal imbalance that I’m guessing is affecting my thyroid. I made some poor choices about a month ago, and yes… I’m still paying for them. They were sweet potato chips with coconut oil…. and coconut oil doesn’t like me. A little bit one day, and little bit more another day… and the next thing you know – I was eating way too many chips that I shouldn’t have been having in the first place and ending up in a lot of pain. My reactions to coconut oil aren’t as bad as coconut flour… so I lied to myself and thought I could handle it. But, as with any food that causes AI reactions… it catches up with you, and it’s never worth it. By God’s grace, we weren’t able to get the chips for several weeks (and I believe they are still out of stock), so that helped me get back on the right path. It seems insane though, doesn’t it? Something like “just” sweet potatoes and coconut oil with sea salt, (other wise safe and healthy ingredients) can affect my gut, throw off my hormones and cause countless breakouts and neuropathy in my back (so irritating) legs, feet and arms. 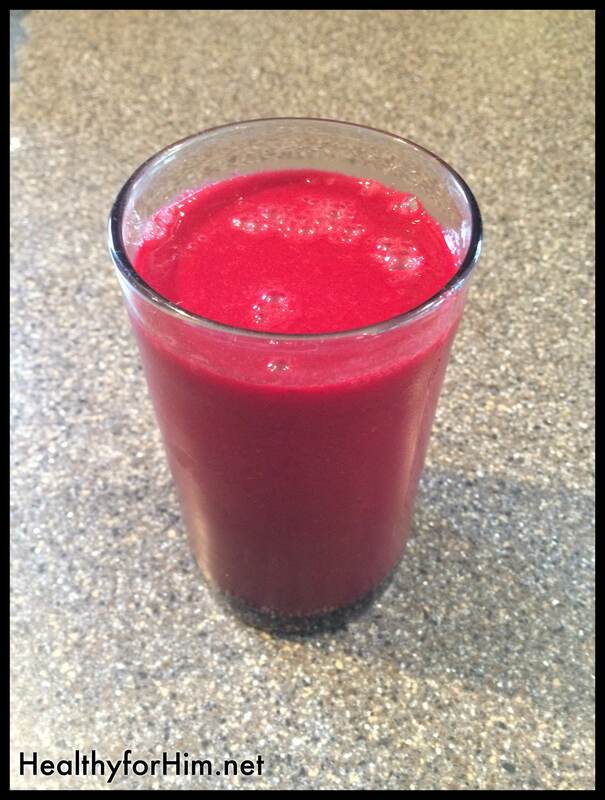 Because of all of that I gained (almost overnight) about 5 pounds – that I can’t seem to shake either. This is why I believe thyroid problems are to blame for so many issues that women struggle with concerning weight. They can cut calories and increase exercise – and still continue to struggle. But if their thyroid is off = due to a leaky gut, high cortisol (stress) levels, poor sleep (inability to stay asleep due to airway obstruction or other hormone issues) – all parts play a role. Most often, people take sleep meds for something that doesn’t really help balance anything or get to the root cause of the issues for long-term health. So with that, I’m back on track… and not planning any less-than-intelligent moves in the near future. On top of that, after a recent visit to my naturopath, we opted to try Fluconazole to help nip my SIBO in the bud for good. It was a 10 day dosing schedule, and we might have to do more – but after being on AIP for over a year, and trying every natural help I can… I figured this was worth a shot. 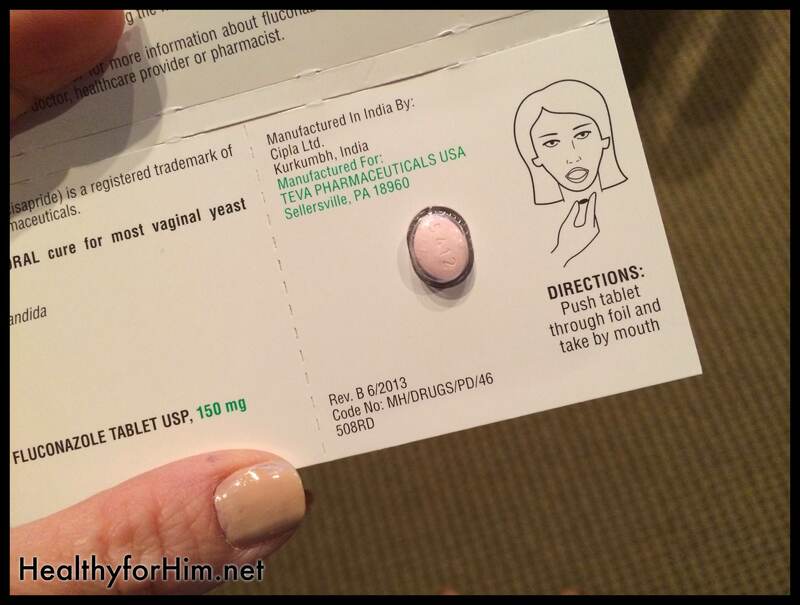 The down sides to the treatment (other than what is in the pill, including RED food coloring – WHY?) was a chronic headache that I had all waking hours. I imagine some of that is from detoxing whatever bacteria was dying… but by day 6 I did feel like my bloating was improved. Now I’m about a week out of my last dose, I can’t say it’s cured that bacteria 100%, but I’m improved dramatically, and with less pain after eating. 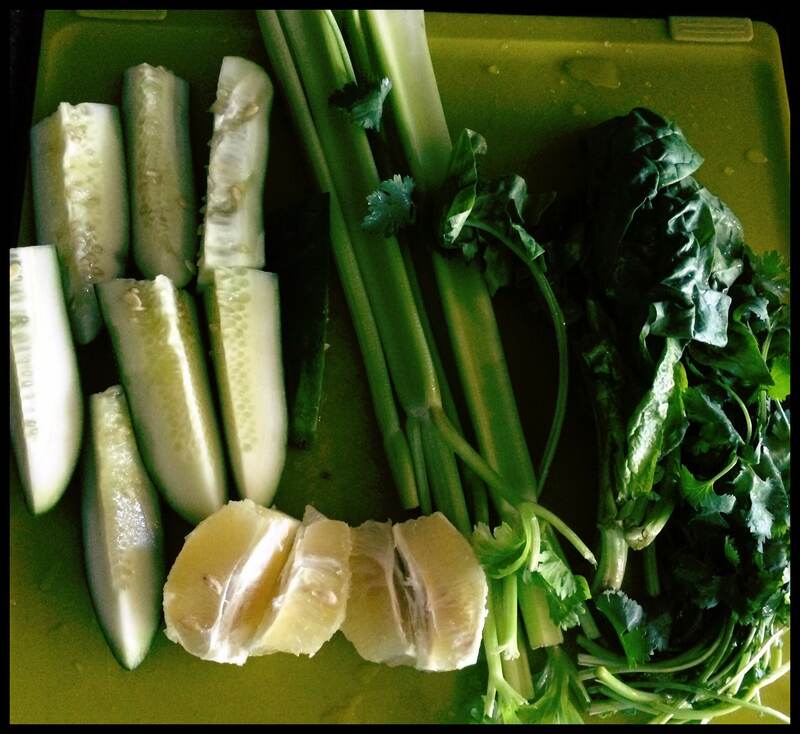 Our goal is for me to be able to eat raw vegetables again. It’s the little things in life. 🙂 We’ll probably try another dose next month. I’ll keep you posted. So, combine all of that with a bit of added stress recently with taking on a new house project, with a heavier workload as we gear up for busy time in retail and prep for school, which equals less sleep, and my son having sinus surgery (more on that later), I know my cortisol levels, rest and exercises aren’t where they need to be. It all matters. On that note, I better run. I have a trip to pack for, a follow-up appointment, an ad to create, 2 sessions to work through and I need to magically make a 6 year old’s birthday party happen before we leave in 3 days. I will be walking, focusing on breathing and saying NO more often. Responsibility. What’s in a Word? Just one of my green juice choices this week. Cucumber, Lemon, Celery, Cilantro, and Spinach! I celebrated my 39th birthday last week. Well… sort of. My kids forgot, my husband wasn’t far behind that… and well… it was just another day of baking, laundry and my chores. “That’s NOT good,” she touted. I simply told her that my joy isn’t all set on one day like it used to be. I choose the grateful road… and I’m much happier that way. I was much happier on my birthday when I got a nap too. All in all, I’ve noticed that certain people with disease choose a path of victim, and others choose a path of active determination. I’m not sure why that is. Is it our nation? Is it something promoted to us from an early age? We can say, I’m going to dig deeper! I’m going to find out just why and how God made me the way I am…. and where I went wrong, and what I can do. To me, it’s called responsibility. It’s MY responsibility to take care of my body. To feed it what it needs. To find out why it’s not absorbing something specific and do what I can. To realize what I’m choosing to expose myself to, and avoid those things that aren’t helping me be well. There is going to be plenty that isn’t in my control… and for the small portion that God gives to me to accountable for… I’m going to work with Him to learn, grow and realize there are many things I CAN do to help myself. There are reasons disease happens. Multiples reasons. Diet, exercise, toxicity, stress, sleep…. genetics are often a small fraction of the equation, and even then – we can work with what we have to do the best for the body we’ve been blessed with. “He is the radiance of the glory of God and the exact imprint of His nature, and He upholds the universe by the word of His power. My comprehensive stool test came back! I don’t have bad bacteria in my gut anymore. No candida. No more SIBO. Unfortunately, I don’t have any GOOD bacteria either…and I had meat (undigested in my stool). Gross. I know. But it’s my reality. Well, in my process of preparing for the test – I had to stop taking my enzymes, any probiotics, and HCl (the stomach acid helper). In the mean time, we went on vacation… I stopped taking my MSM… I got a little lazy and was eating some sweet potato chips, with coconut oil, which I”m not supposed to have because it causes reactions… and I started eating some raw veggies… carrots, cucumbers… a few radishes. As of recent I had been battling the every day morning “I think I’m going to throw up I’m so full in guts” feeling. 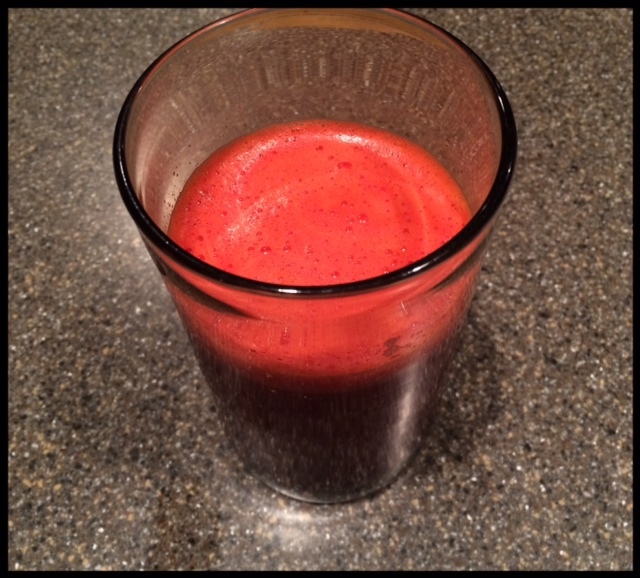 I got a stomach bug early this week – which emptied my entire body of any food contents that might have thought about sitting, and other than wishing I didn’t have to throw up beet juice, I was just THANKFUL to not feel so sore, and sick. It was almost a year ago I realized I was battling gastroparesis, you can read more about that if you want. I knew my stomach was emptying slowly. I didn’t really consider THAT was my main problem. I knew it led to other bacteria issues… I figure THAT had to be the main problem… and maybe it was – before the treatments I did. and some more research on gastroparesis…. I realize now – this is more serious, and I need to get more specific before I end up on a complete liquid diet. I spent some time being real with myself, and figuring out a plan because this is serious, and it’s not going away. I have to say I’m SO glad I did the most recent elimination diet from this book. It helped me get to this point to see why and what was making me bloat. While I focused on trying to eat 2 meals a day, and a smooth in the AM (more recently) – in an attempt to encourage “cleansing waves” for my digestion process… I’m realizing now that approach isn’t going to fix my gastroparesis. In fact, it’s going to make it worse. While the well cooked foods, and types of foods are GREAT to encouraging healing… SMALLER, more frequent meals are required. I’ll admit. I had some tears over it. Realizing that fiber from raw vegetables and fruit simply aren’t an option, and that juicing and well cooked smaller meals like I ate before, are going to be consuming most of my summer wasn’t exactly where I was hoping to go with this. Selfishly I was thinking we’d be on track to targeting a bacteria, and be able to move forward… away from the chronic pain that has plagued me for a majority of the past 3 years. You know how when you are in a pit… and God just lifts you up? Once again, God doesn’t disappoint. While researching my newest plan, and awaiting my doctor’s input… I was SO encouraged by this short video by an 18-year-old from Canada who shared how SHE healed her gastroparesis… after going through a wild goose chase with western medicine. She talks about several things that I’ m already doing, and a few I’m interested in trying, or getting more serious about. Specifically acupuncture more regularly. I’m going on Tuesday. I also watch this video on what to eat for gastroparesis, and she had her top 10 things to do… again, most of them I’m doing, but it had some great insight. One of the things I KNOW effects me (and literally made me laugh out loud!) is “eat in a calm environment.” Sorry. That’s not going to happen any time in the near future anyway, and I know stress is a big problem – I’m fighting regularly to keep under control, and at a manageable level. Thanks so much for taking the time to read this. Please don’t pity me. I am encouraged and hopeful. Our BIG GOD is a healer – and I’m focused on what He’s doing in me through this process. Healthy for Him. How much thought have you given to breathing while you sleep? Do you “smack” when you eat? I remember my snoring and lack of ability to breathe being SO bad during pregnancy, my husband asked the doctor if I could “die” – because it sounded like I was gasping for air. Yes – it was really horrible. We had our first official “meeting” via Skype with our Oral-facial Therapist this week. The woman who has insight into helping my 14-year-old be able to close his mouth, retrain his tongue, and avoid yet another round of braces. Time is of the essence. Something I didn’t realize until a few days ago, D1 has a lip tie, in addition to his tongue tie. That’s partly why he can’t close his mouth. His top lip is “tied” to the skin of his face inside his mouth, not allowing him to pull that lip OVER his teeth, and close his mouth. His lips are always cracking and dry. He is a horrible mouth breather. It often leads to bad breath. All of that seems pretty minor, comparatively to the quality of sleep he has been missing over the years. Sleep is essential to your body healing. Its’ when you repair and recover…. and grow. There is growth hormone only created when you sleep. If you’re not getting the proper oxygen throughout the day, and you’re not getting the oxygen flow at night. So we discussed all of that… and next week we’re setting up an appointment with an ENT to take a look at D1, so we can address these issues with him first. I’m fairly positive he isn’t the only one who will be addressed – but the palate expander on several of the other children HAS helped address things dramatically. She said when you’re talking about even tiny millimeters of space “cleared” to allow oxygen flow, you’re talking huge differences. While we talked, she shared part of her story. Very similar on some levels to mine. Metal toxicity, and healing her body inside out. She encouraged me to look into expanders myself. I told her my orthodontist seemed to shy away from that, at my age… she disagreed, and said it was the best thing she has done, although they used removable devices, so you can eat – it has made HUGE impacts on her sleep and healing. I can imagine…. just how much that is impairing my healing process. I do sleep – but I never feel rested. I just don’t. She explain how braces used to be addressed, vs. how they are now… The teeth on top were “aligned” and the bottom jaw was “tucked” under. (If you can visualize my profile… Beeker from the muppets comes to mind!) She went on further to say that once you set that bottom foundation – then you set the top teeth on TOP of that, you have a set up a healthy breathing space needed to function. It changes your face shape, but more importantly – you can breathe. What if someone mentioned that PUPPS was related to celiac disease. I could have changed my diet, instead of being put on steroids… and the snowball that got me to now. What if my son had been “clipped” years ago… and nursing hadn’t been such a struggle. Would that have prevented post pardum depression, and all of the issues that were created from lack of family support during those very trying months? What would be different now? I cry at how many times I didn’t “get” that my son said, “I can’t control my tongue”. I mean, I get that it’s a strong muscle… but WHO can’t control it. Seriously? We have lots of months of things that were include many trips, most likely surgery for multiple kids, as well as myself, and then therapy for a long while to get these things corrected. It’s not going to be a quick thing. We’re going to have to make adjustments to not just throw ourselves into things that eat up our time. We have to make a solid effort to heal, and be open to changes that need to be made. Most people would probably cringe at the thought of all of this, but I’m actually VERY excited. I know this is going to help us tremendously. We are thankful to God, for the knowledge and advancements being made to understand our body better. Never assume God doesn’t know what He’s doing. The one thing I didn’t mention – just how much He has grown me, and strengthened our marriage through this process. It’s solidified our relationship with our kids, and given them opportunities to trust in Him as well. God is good. ALL the time, He is good. Yes. I’ve read the China Study. I read “The Body Ecology Diet”… and I’ve studied the Gerson Therapy and watched the Gerson Miracle, and Beautiful Truth. Well, let me just say that I understand why an organic, vegetarian diet would be done in the short-term – to rid the body of things like cancer, which is caused from inflammation, and focused on healing the body through detoxing. Why do I say “short-term”? Why the Paleo Diet instead? Isn’t that just a meat based diet? Isn’t that TOO much meat? To me, the Paleo Diet is a whole foods diet approach that focuses on high-quality nutrition, while resolving inflammation through proper digestion as well as balancing hormones through proper sleep, stress management and exercise. It’s not a “diet” to achieve a short-term goal and then stop. It’s a lifestyle of eating what makes you feel best, and is sustainable over the long-term. 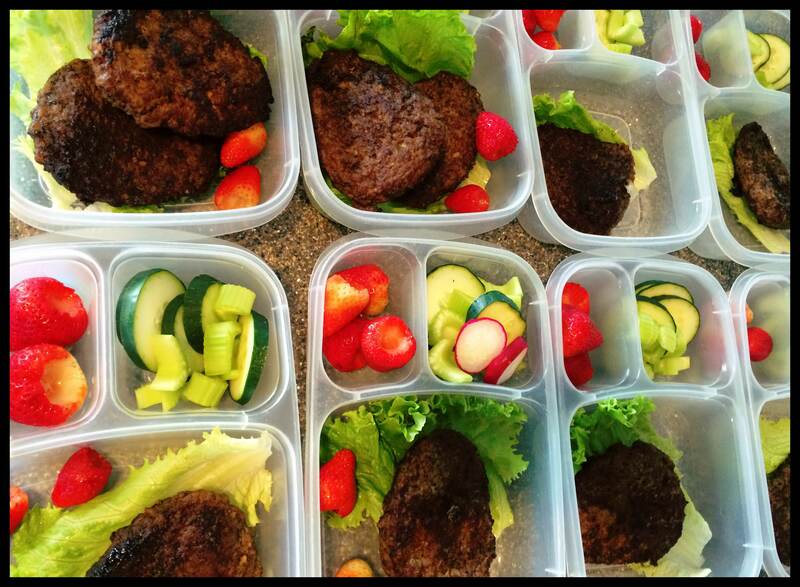 The Paleo diet is not necessarily a “high protein” diet, it’s very much a plant-based diet. Protein can range from 10%-25% of your daily calories, depending on your individual needs. Many people only eat fish, shellfish, eggs or white meat, such as chicken or turkey, and skip the red meat. We eat red meat once a week or more, and our source is grass-fed/grass finished beef – that we all enjoy. Personally, I feel poorly when I can’t have red meat at least once a week. I eat chicken or salmon almost everyday. Because I eat large amounts of fats, I’m able to handle and process more carbs (veggies) as well. Right now, on auto-immune protocol, I would say my diet is 70% veggies, 5% fruit and 10% meat and 10% fat. I feel really good – my skin looks really good… and I’m working my way up to organ meats, as I know those are really important as well. I think for me, I’ve read/heard enough other information from people who have attempted vegetarian longer term, and it caused some major issues with auto immune disease – because their body was missing some key things, it needs to prevent disease. Dr. Amy Myers is one who shared her story of becoming a vegetarian at age 14, and why she eats Paleo now. I needed all of the help I could get… it has already been years of my body not absorbing what it needed to thrive! I’m lean, I feel strong, and I know my body is healing. If Paleo is a FAD, I’d love to know what one might consider all of the sugar filled, flour laden, industrial seed oil filled foods are that most consume while eating the Standard American Diet?? Seems like a REAL FOOD approach is just what our country needs! I think my body was trying to run on full-force the past week. My goals were to get through the prep of another trip, following our vacation… and just survive. How much can I fit into one weekend? A home school conference, and research for 2 children starting high school in a few short months. Squeeze in a last minute family portrait session with a mad-talented friend who I attribute to God using to reset my health-course and helped to save our family. I knew I was beat last night… when we arrived home, dinner-less and I just wanted to crawl into bed. I went ahead and threw some veggies (Cabbage, carrots, celery and radishes) in a pot with olive oil and salami, cut up pears for a side and called it good. It’s a good thing I did that. They gobbled it all up. Oh wait. I made bacon too. Well. Not everything. Since I can’t tolerate pork, or the sugar that it’s often included in it. So I wake up this morning…. way after everyone does today, and I feel like I’m moving slowly. Only everything hurts, and it feels too familiar. I get the kids their supplements, start some laundry and curl back into fetal position on the couch. By 10 am the mountains of laundry are making me feel a bit sick, so I wonder if it’s just the fact that we did so much this weekend… or that I really shouldn’t have eaten that bacon nibble. Maybe it’s the stress, and the lack of rest. Maybe it’s the fact I feel a bit depressed every time I leave Iowa and my heart aches for family, and fellowship and feeling of “home”. It’s a good thing I have lots of children who need me, and that isn’t an option. Right? The vows the couple wrote to each other included him promising to the spiritual leader of the family, and hers included her promise of submitting to his leadership. That’s the first time I’ve heard that spoken – in vows, but it was beautiful… and simple, and perfect. The reception was food, slide shows and cake cutting… for which they had cupcakes. Very cute. Other than “their first dance”, there was no dancing. Later it made sense… no dancing, no alcohol… just a celebration of their lives joining as one, thankfulness for their strong family bonds, and fellowship. I asked my kids what they took away from that. “I don’t want dancing at my wedding,” D2 said. “I don’t like the idea of everyone staring at me.” She is SO her mother. “I noticed they got along with their siblings, they really loved their family,” D1 gave his input. This brought up some other good discussion… and made me very encouraged for how we raise our family. “I want cupcakes at my wedding,” said D7…. “Only not poisonous ones!” Since we sat right next to the cake table, my husband said we totally should have brought literature on inflammation and grains. Hah. Only one woman was brave enough to ask why we weren’t eating the cupcakes, so she got a lesson in alternative options for disease. 🙂 We brought the kids chocolate and fruit strips as a treat. All in all, I think the message they also received was the importance of choosing a spouse who loves the Lord, and desires to follow Him, and that made it worth it for us to miss soccer championships for our 6 of our 8 soccer players. An eternal life-lesson is worth more than soccer, any day. I’m going to continue pushing fluids and taking it easy today. It’s definitely the most frustrating part of auto immune disease… that you can’t push your body like you used to (not that you should every anyway!). It’s probably another blessing in disguise that God gives me as a reminder I need Him, and for that – I am grateful. Keeping me humble. Healthy for Him. 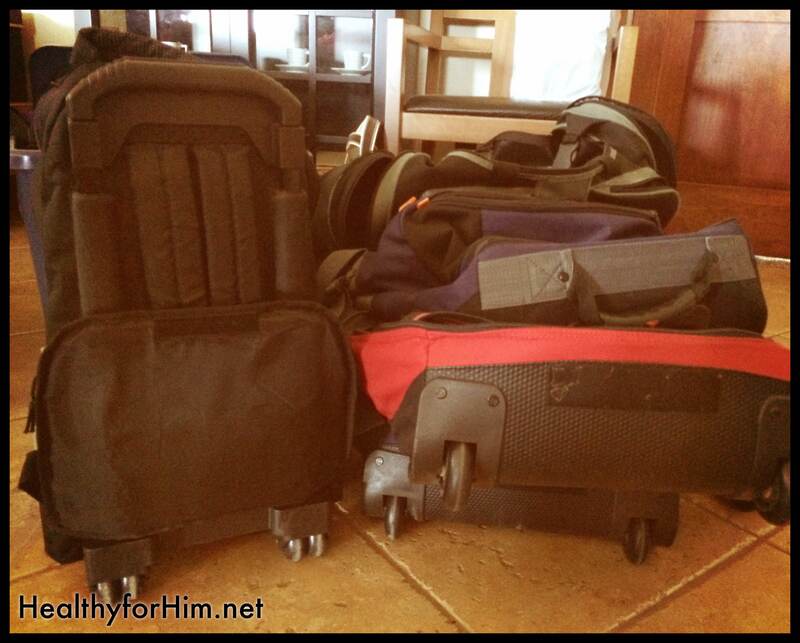 Oh, and here is a great video of a “chuck box” idea – to tote the things you need while traveling and feeding your family while avoiding eating out. We travel similarly, and it’s such a help! 🙂 Enjoy! It’s Getting on My Neuropathy! I used to think that had something to do with my mind… like neurological. Quite the contrary, peripheral neuropathy specifically can be any where with in your body. It’s very common with MS… it’s something I dealt with for years – totally unknown to me what it even meant! So what is peripheral neuropathy? What can cause it? SO many things… it’s endless really. For instance, with me – I’m going to guess it’s a lack of Vit B… but I’m sure it’s that, and other things. Physical trauma, repetitive injury, infection, metabolic problems and exposure to toxins and some drugs can all lead to peripheral neuropathy. See what I mean? Who really knows… but doing things like removing toxins, and infection can help to rebalance your body a great deal, but nerve regeneration is the slowest – patience is required! Motor issues – weakness in the arms specifically – some days I feel like I can barely lift the lightest thing. Frustrating when I know I’m “fit” and the muscles are there. Sensory issues– sharp jabbing/prickling pain, and burning pain, numbness in the hands and feet – making me unable to stand or walk, changes in my hair/and nail bed (despite plenty of biotin and nutrition! ), lack of coordination (despite lots of muscle work on that core for years – I’ll often just tip over. My balance stinks). Autonomic issues – heat intolerance (read my previous post), digestive problems (and I work at it… CONSTANTLY), dizziness and light-headedness… especially on standing. Now that I know why my body does what it does – it help me to deal with what I’m experiencing. I don’t really talk about it… because you get strange looks when you tell someone it feels like bugs are crawling all over your legs, or you suddenly slap your leg because you just got a “zinger” again. One of the most painful neuropathy issues on the trip was my elbow. It hurt so much to put my elbow on the arm rest, it wasn’t even funny. It felt like I had exposed bone, sitting on hot cement – just resting my arm down. I either kept it to my side, or had to have multiple layers in between my elbow and the arm rest. This damage led to a familiar numbness in my left hand (pinky and ring finger) – that always occurred after having another baby – for months. Ever since my last child – it never really went away. Insane right? Yes… I know. For years I just thought I wasn’t tough – so just sucked it up. Maybe I needed to work harder on my balance, or just had sore arms because I was weak? I can’t tell you what peace it was realizing WHY I screamed out when a doctor froze a wart off of my foot… and then told me, “that shouldn’t have hurt.” (It literally felt like he held a flame and melted my skin off deep into the tissue.) Was that in my head? Nope. Good ol’ neuropathy. I think it’s about time for me to try the chiropractor after our trip. I’ve had almost constant neuropathy in my middle back since we have returned. It’s getting very OLD a week later!! Maybe some adjusting with loosen up some of those nerves, or relax them at the least.